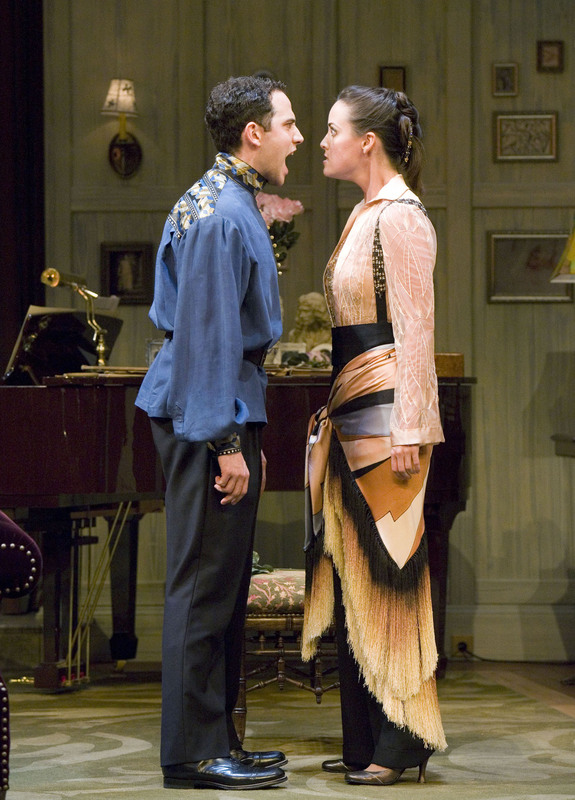 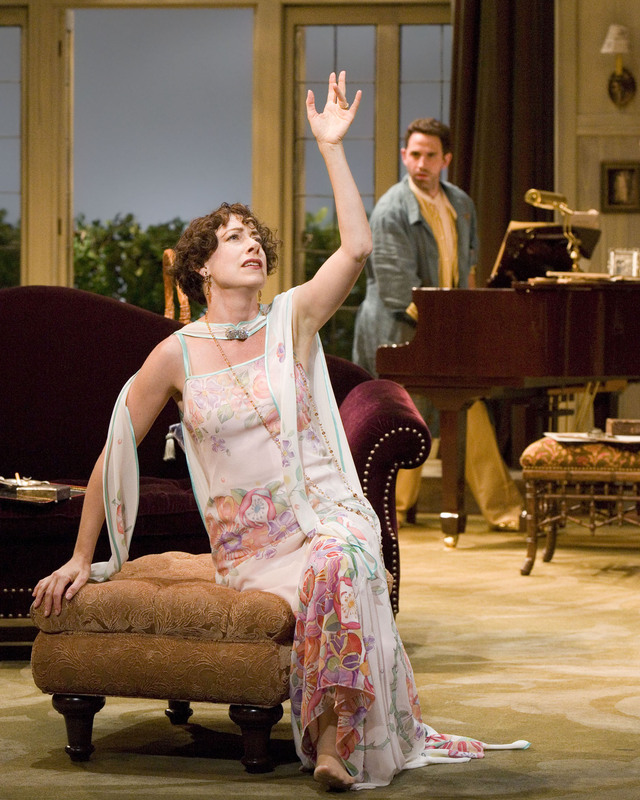 >Judith Lightfoot Clarke as “Judith Bliss” and Santino Fontana as “Simon Bliss” in The Old Globe’s production of Hay Fever, by Noel Coward, directed by Robert Longbottom, playing in The Old Globe Theatre July 14 through August 19; photo by Craig Schwartz. .
Santino Fontana as “Simon Bliss” and Sarah Grace Wilson as “Sorel Bliss” in The Old Globe’s production of Hay Fever, by Noel Coward, directed by Robert Longbottom, playing in The Old Globe Theatre July 14 through August 19; photo by Craig Schwartz..
l-r) John Windsor-Cunningham as “David Bliss,” Yvonne Woods as “Myra Arundel,” and Judith Lightfoot Clark as “Judith Bliss” in The Old Globe’s production of Hay Fever, by Noel Coward, directed by Robert Longbottom, playing in The Old Globe Theatre July 14 through August 19; photo by Craig Schwartz. 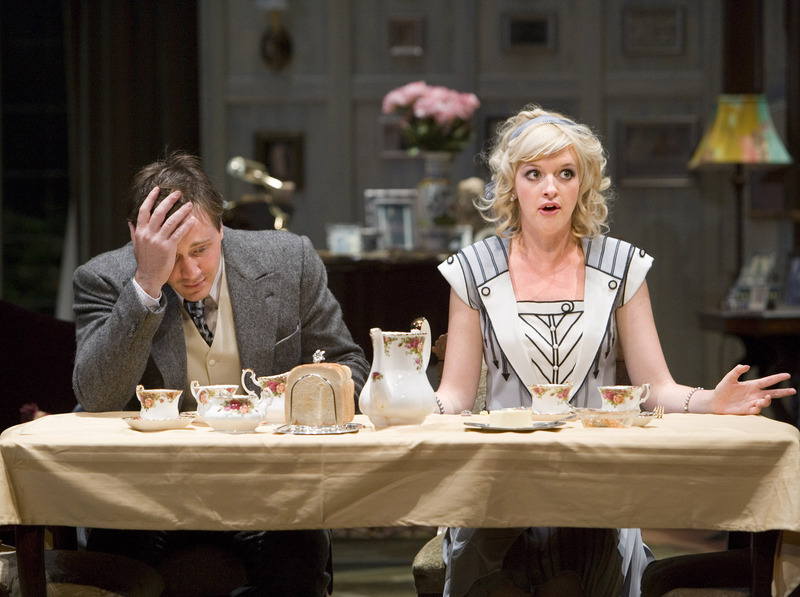 Brian M. Slaten as “Sandy Tyrell” and Bridget Moloney as “Jackie Coryton” in The Old Globe’s production of Hay Fever by Noel Coward, directed by Robert Longbottom, playing in The Old Globe Theatre July 14 through August 19; photo by Craig Schwartz. 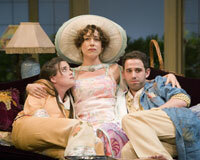 (l-r) Sarah Grace Wilson as “Sorel Bliss,” Judith Lightfoot Clarke as “Judith Bliss,” and Santino Fontana as “Simon Bliss” in The Old Globe’s production of Hay Fever, by Noel Coward, directed by Robert Longbottom, playing in The Old Globe Theatre July 14 through August 19; photo by Craig Schwartz. Judith Lightfoot Clarke as “Judith Bliss” and Alan Campbell as “Richard Greatham” in The Old Globe’s production of Hay Fever, by Noel Coward, directed by Robert Longbottom, playing in The Old Globe Theatre July 14 through August 19; photo by Craig Schwartz.